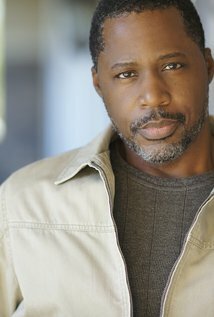 DeJean Brown is an actor, known for Let's Do It (2016), Split Lip and Oceans Rising (2017). Are you sure, you want to add The Axiom to your wish list? In the underground world of contract killers, mistakes cannot be tolerated. Set "DoreÃ© Seay", a top brutal mercenary with an icy exterior, finds out the hard way when one mistake sends her on a treacherous mission to clear her name. Hunted by her former mentor Karlton "DeJean Brown" and his roster of psychopaths, she forms an unlikely alliance with a mysterious stranger and his sister as Set races against the clock to out-wit and out-fight the dark forces gunning for her life. Are you sure, you want to add Split Lip to your wish list? Bay Area Chef, Mark Matheson has everything he ever wanted: A Restaurant of his own, the love of his girlfriend, Gillian and the respect of the culinary community. But in the wake of bad press and personal demons returning to haunt him, Mark struggles to hold onto everything. Before he can be called great, he'll have to learn to be okay, again. Are you sure, you want to add The View from Here to your wish list? A scientist builds a boat after his warnings of an Earth-destroying flood are ignored. But when it's evident the disaster will occur, those who maligned the scientist now turn to him in desperation, boarding the ark and seeking his answers before the world drowns in a never ending sea. Are you sure, you want to add Oceans Rising to your wish list?